A joint report from the American College of Cardiology and the American Heart Association released at the end of 2016 outlines 10 quality and performance measures intended to prevent sudden cardiac deaths. Published Dec. 19, 2016 in both the Journal of the American College of Cardiology and Circulation: Cardiovascular Quality and Outcomes, the evidence-based, guideline-endorsed recommendations address key risk factors for sudden cardiac arrest (SCA) and interventions to prevent sudden cardiac death (SCD). 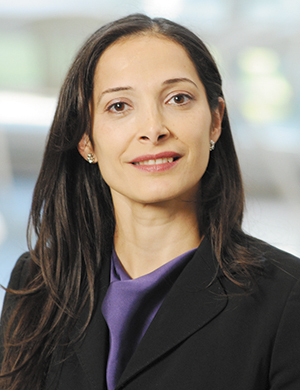 "The scope of the issue is that SCD is the most common mode of death in the U.S., and despite many advances in resuscitation and other areas of SCA/SCD care, the survival rate of SCA victims is still low and the risk of SCD is still high," Sana Al-Khatib, MD, FACC, co-chair of the writing committee and a professor of Medicine at Duke University, explained of the need for this first comprehensive measure set for SCD prevention. Each year there are more than 350,000 out-of-hospital cardiac arrests in the United States. "While some people - such as patients with heart failure - are known to be at risk for sudden cardiac death, others are not," Al-Khatib noted. "We need initiatives to improve the quality of care for those with a known risk but also for the victims of sudden cardiac arrest." To move the needle on improving survival rates, Al-Khatib said the committee proposed performance measures and quality metrics that span different aspects of care ranging from prevention to resuscitation, as well as management of known conditions. PM-1: Smoking cessation intervention in patients who suffered SCA, have ventricular arrhythmias, or are at risk for SCD. QM-1: Screening for a family history of SCD. QM-2: Screening for asymptomatic left ventricular dysfunction among individuals who have a strong family history of cardiomyopathy and SCD. QM-3: Referring for CPR and AED education the family members of patients who are hospitalized with known cardiovascular conditions that raise the risk of SCA. PM-2: Use of ICD for prevention of SCD in patients with heart failure and reduced ejection fraction who have an anticipated survival of > 1 year. PM-3: Use of guideline-directed medical therapy (ACE-1 or ARB or ARNI, beta-blocker, aldosterone receptor antagonist) for prevention of SCD in patients with heart failure and reduced ejection fraction. PM-4: Use of guideline-directed medical therapy (see above) for the prevention of SCD in patients with myocardial infarction and reduced ejection fraction. PM-5: Documenting the absence of reversible causes for ventricular tachycardia/ventricular fibrillation cardiac arrest and/or sustained VT before a secondary-prevention ICD is placed. PM-6: Counseling eligible patients about and ICD. QM-4: Counseling first-degree relatives of survivors of SCA associated with an inheritable condition. 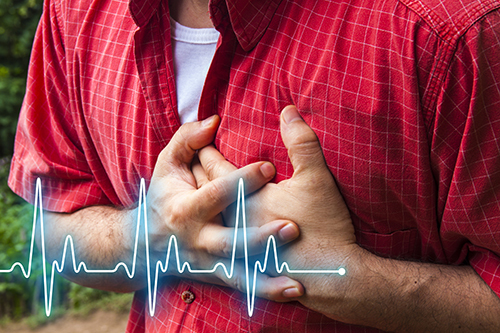 Although guidelines exist for the prevention of sudden cardiac death, there has been an underutilization of public health initiatives, treatments and device therapies for at-risk patients. Al-Khatib said many of the measures the committee proposed are novel or not well established in the format proposed. "We have data on low use of these proven interventions in relation to most measures," she said, adding the novel construct of the 10 measures should impact care if it put in place. "The hope is that most would use all of these measures, but even if a few of these measures are implemented, we still expect to make a difference," she said. Al-Khatib continued, "These measures were picked based on what is most important and what would be most impactful emphasizing the importance of the problem and gaps in care." In addition, she said the committee, which was divided into smaller groups based on expertise, took into account validity and reliability of data sources and collection, usability and feasibility in terms of workflow to come to a consensus on the measures. "Despite the existence of many proven interventions, the use of these interventions is lacking in many areas and so the survival rates for SCA victims have not appreciably improved," she said, again emphasizing that SCD is the most common mode of death in the nation. "A multifaceted approach to this problem is needed. Such an approach is achievable through the implementation of this set of performance measures and quality metrics," Al-Khatib concluded. A report released last month showed over 93 percent of heart attack patients are receiving stents within the guideline-recommended threshold of 90 minutes after arriving at the hospital, with the median time to stenting only 59 minutes. "Trends in Cardiovascular Care in the United States: a Report from Four American College of Cardiology National Cardiovascular Data Registry Programs" provides insights into the patient populations, participating centers and patterns of care based on 2014 data from 4 of the 10 NCDR programs - CathPCI Registry, ICD Registry, ACTION Registry-GWTG and IMPACT Registry. "We were able to report on the care and outcomes of patients undergoing common cardiovascular procedures, including percutaneous coronary interventions, implantable defibrillators, and interventions for congenital heart disease, as well as for patients with acute heart attacks," NCDR Management Board Chair and lead author of the study Frederick A. Masoudi, MD, MSPH, FACC, said. "In some cases, hospitals are consistently providing excellent care; the registries, however, allow us to identify those aspects of care where the cardiovascular clinical community can improve." Of the 667,424 patients undergoing PCI in 2014, 35.3 percent of PCIs were performed for elective indications, compared to 64.7 percent performed for non-elective indications. Between 2011 and 2014, the use of femoral access declined from 88.4 percent to 74.5 percent, while the use of radial access increased from 10.9 percent to 25.2 percent. Use of evidence-based therapies, including aspirin, P2Y12 inhibitors and statins for eligible patients, remained high at 93.3 percent. Median door-to-balloon time for primary PCI for STEMI also remained strong at 59 minutes for patients receiving PCI at the presenting hospital and 105 minutes for transfer patients. Of the 158,649 patients receiving ICD therapy in 2014, 120,228 received a device for primary prevention reasons, compared to 38,421 who received a device for secondary prevention indications. Of all ICD implants in 2014, 25 percent involved single chamber devices, 32 percent involved dual chamber devices and 43 percent involved CRT-D devices, compared to 19 percent, 37 percent and 44 percent, respectively, in 2011. While use of evidence-based therapies are generally high - performance on a composite medication metric, including use of ACE or ARB for patients with LVSD and beta blockers for patients with LVSD - could be a target for quality improvement efforts. Between 2011 and 2014 the composite rate of use grew from 76.7 percent to 80.3 percent, with room for continued improvement. Of the 182,903 patients with acute myocardial infarction (AMI) in 2014, 71,368 had ST-segment elevation MI (STEMI), while 111,535 had non-ST-segment elevation acute coronary syndromes (NSTEMI). There is room for improvement in the areas of overall defect-free care (78.4 percent); P2Y12 inhibitor use in eligible patients (56.7 percent); and use of aldosterone antagonists in patients with LV systolic dysfunction and either diabetes or heart failure (12.8 percent). Compared to NSTEMI patients, STEMI patients were more likely to experience certain adverse events during hospitalization, including death (6.4 percent vs. 3.4 percent), cardiogenic shock (4.4 percent vs. 1.6 percent), or bleeding (8.5 percent vs. 5.5 percent). Of the 20,169 patients with congenital heart disease undergoing cardiac catheterization or a catheter-based intervention, 86 percent were under the age of 18, and 24.6 percent were under one year old. Procedures such as atrial septal defect (ASD) closure, patent ductus arteriosus (PDA) closure, aortic coarctation stenting and pulmonary valvuloplasty had success rates exceeding 84 percent. Aortic coarctation balloon angioplasty was less successful at 55.1 percent. Device embolization was reported in 1.2 percent of ASD closure procedures and 1.1 percent of PDA closure procedures. A clinically significant increase in aortic regurgitation follow valvuloplasty was noted in 10.6 percent of cases.